Blendstrument Hybrid Pulses is the second iteration in our Blendstrument series. Hybrid Pulses allows you to create hybrid cinematic pulsing grooves with a single click. The Blendstrument contains a highly advanced randomization feature – allowing you to create an infinite amount of combinations and can never produce the same instrument twice. 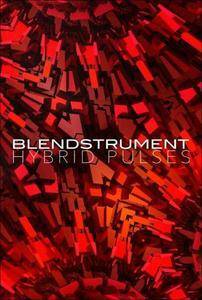 Blendstrument Hybrid Pulses was created by Academy Award, TEC and G.A.N.G Award Winning Composer, Troels Folmann and a team of the best sound designers in the industry. The Blendstrument Hybrid Pulses Edition was created around an advance PULSE architecture that allows the instrument to PULSE between different samples in sync with your DAW Host-Tempo. In addition it contains over 300 hand-crafted Textural Convolutions that creates a textural delay to the Blendstrument. The Blendstrument also comes with a full REVERSED patch, which gives that backwards feel to the Blendstrument. We also added our newest Chaos FX 3.3 and a brand new Panorama architecture that allows individual tuning and panning of each sample layer. The Blendstrument is like an eternal box of chocolates. You never know what you are gonna get. But we promise whatever you create will be yours and yours only. It is our intention to offer this tool, so you can create something entirely unique.